There are ventless gas fireplaces; I can't stand the smell of those, either. I remember walking into a local fireplace shop and having to turn around and walk out because they had one on display. While no deaths from vent-free fireplace incidents have been reported, NACHI says, some municipalities have restricted or outlawed vent-free fireplaces. The District of Columbia bans the fireplaces only in bedrooms or bathrooms, but Virginia and Maryland don’t restrict them. California banned ventless fireplaces because of the risks, but no other states outlaw their use. “They put out tons of heat and they’re 100 percent efficient, but they use oxygen in the room and put out carbon monoxide, and they smell terrible,” says Bill Yeager, owner of Yeager Gas Fireplace Service in Fredericksburg, Virginia. “It’s like a car running in the house,” Yeager says. He says he had a ventless fireplace in his own home for five years and installs and services them, but he typically steers customers to other options. edit: It all boils down to chemistry. There isn't any way around it: When you burn fossil fuels you use oxygen and produce carbon monoxide. We spent a bunch on a Jotul ventless natural gas fireplace/stove. Never noticed a smell when we used it in our old house. Put out tons of heat - enough to mess with the thermostat a room away. 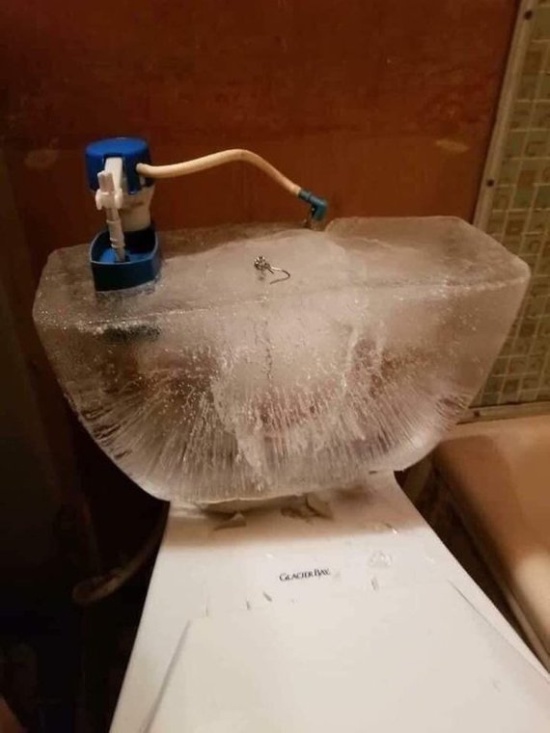 If we used it too much, the rest of the house would cool down. Adjustable flame size, we usually used the lower settings. It looks like Jotul no longer makes ventless units. Their products are generally very well regarded. Even the dog has static cling. First the indignity of purple booties and now a bad fur day. I learned that there is stuff you can spray in your door locks so they don't freeze. I would not survive in cold temperatures, out of sheer ignorance. 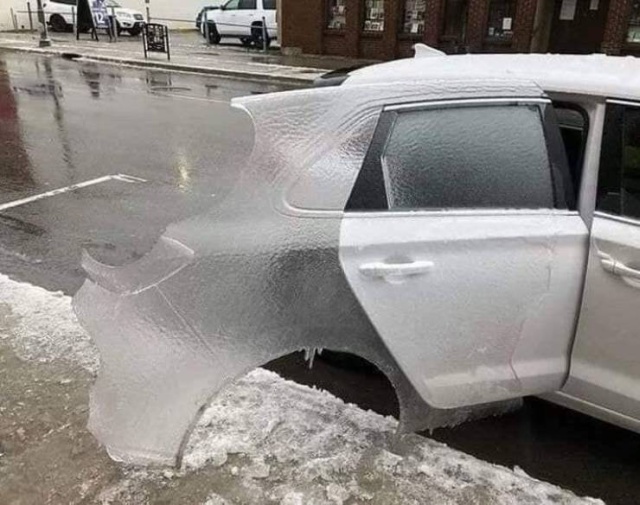 Interesting tip for dealing with a frozen lock on a car door...squirt some hand sanitizer on your key and insert it into the lock. Let it sit for 30 seconds, then gently try to open the lock. All that notwithstanding, this kind of thing requires a special set of circumstances, one of those being that the tensile strength of the ice sheet has to exceed the vacuum pressure of the sheet against the surface upon which it formed. That's a pretty highly unlikely combination. Oh, and it's 45 and drizzling here. Quite the change from just a few days ago! Tell that to the roof of my car, which regularly had such sheets on it in Massachusetts. And yes, they came off in large whole chunks. Went out for a little bike ride today, very short as I am not in good exercise-shape. It sure felt good. Temps were in the 40s and 50s, which is fine with me. Will get into the 60s tomorrow! Don't remember where I read it, but the idea was that we're in for ever shorter but increasingly fierce Winters. I don't hate that notion. Guess we'll finally have to rescind the old saw, "Everybody's always talking about the weather but noone's doing anything about it." Around here propane costs $4/gallon in the type of tank used for gas grills. I know electricity costs less in the Midwest than it does here, or at least it does in Ohio. Are these portable propane heaters really that much cheaper to run than an electric radiator style heater?